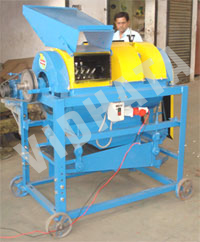 CD / DV Belt Driven Centre Delivery, Single ( Vee or Flat ) Pulley type. 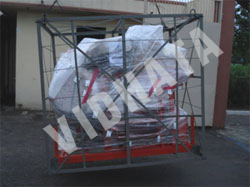 SD / SDLF Belt Driven , Side Delivery, Single ( Vee/Flat) Pulley or Loose Fast ( Double ) Pulley. 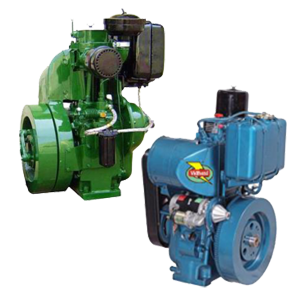 Portable type for High Speed Engine Direct Couple, Centre Delivery, Volute Casing Type. 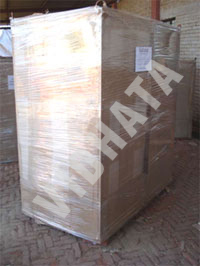 Direct Couple, Centre Delivery, Volute Casing Type. 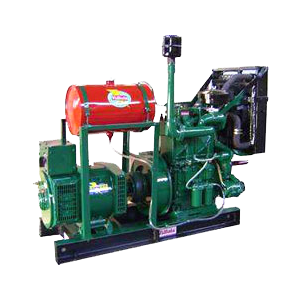 Marine Diesel Engines with Gear Box. 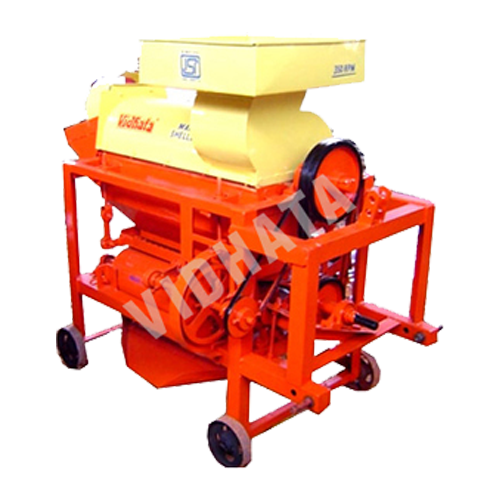 ”VIDHATA” Multi-crop Threshers are capable of running compatible with tractor from 2 HP to 40 HP. 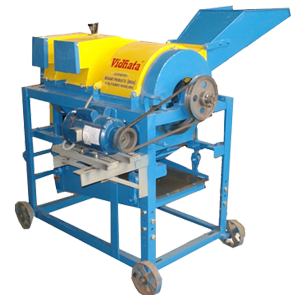 These threshers are suitable for threshing crops like wheat, maize, sorghum, grains, sunflower, ragi, millets, mustard & pulses etc. 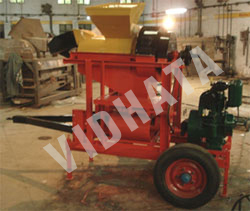 ”VIDHATA” Multi-crop Threshers consists of crop feeding chute, threshing cylinder having stud type beaters/ blades blowers, set of sieves, sieve casing, flywheel, pulleys, main shaft high quality bearings, grain and straw outlet etc. 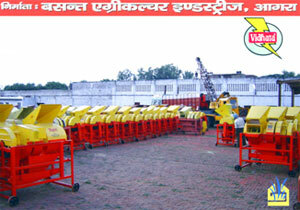 Different variants available for these threshers are – self-feeding chute, double blower, double speed, etc. 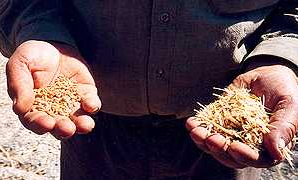 Beater studs separate the grains and the blades of the threshing cylinder. 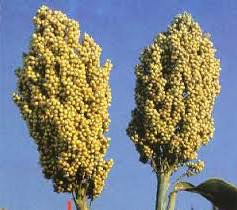 Chaff and dust, along with other impurities are winnowed away by the blower. 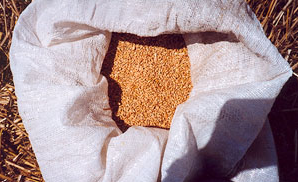 The clear grain is collected through sieves, which are changeable depending on the crop to be threshed. Extra fan cleans the grains. 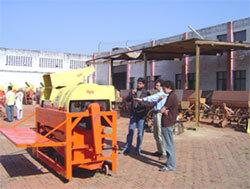 Special ‘worm attachment’ is fixed to grain outlet, to collect grains in tractor trolley. 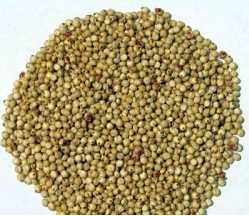 Provision for speed variation for different crops. 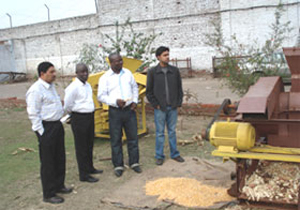 A thresher that can work on almost all crops, by changing concave grill and various adjustments available, to suit crop to crop. 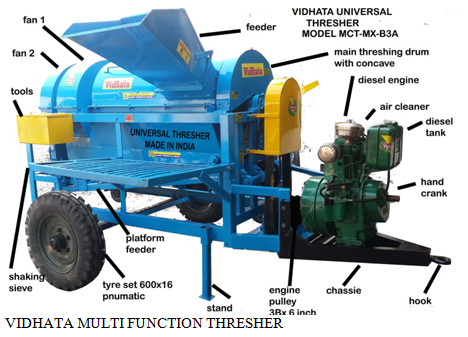 The Multicrop Thresher has been developed primarily for those countries whose wheat or barley wheat, soyabean, grams, peas, sorghum and oats is the major crop and where finely broken straw (tibben or bhusa) is an important animal feed. 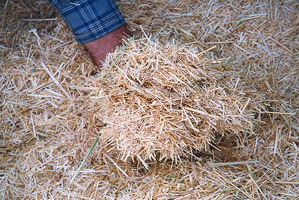 The reason these machines are so special is that they process the majority of the straw into finely broken 2 to 3cm lengths. 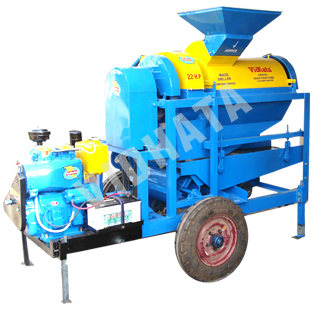 The machine is also suitable for pulse and oil seeds. 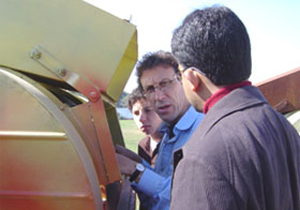 The design has been perfected as a result of a thorough programme of field testing in India and Africa. 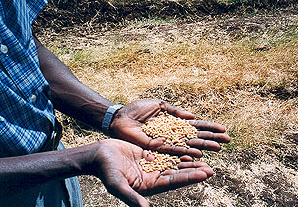 → A sample from a crop of Wheat, Somaliya. 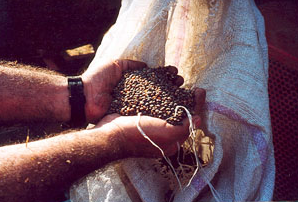 → Now Threshing quinoa in Peru. 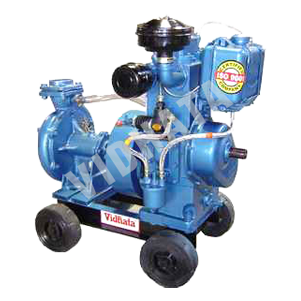 BASANT PRODUCTS (India) (VIDHATA) is a prestigious award winner for manufacturer & exporter since Decades , It is one of the leading manufacturers of diesel engines ranging in capacity from 4 hp to 35 hp, centrifugal water pumps from 50 to 200 MM, Genset from 2 to 25 KVA, Alternators 2 to 62.5 KVA, Agro Multi crop threshers & Maize sheller machinery with an annual manufacturing volume in excess of 1,00,000 pcs. 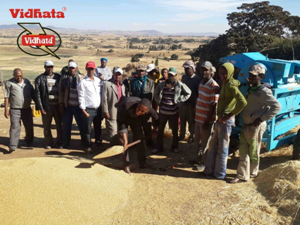 Today, “Vidhata” is one of the world’s leading players in Small Agro field markets. 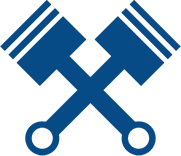 We are also avible on following social media sites.